The St. Louis Public Schools elected board discusses business during their June 2016 meeting as state board of education member Vic Lenz looks on. The two-hour session was characterized by those who took part as cooperative and positive. The group plans to meet again next month. Besides the various board members, state education commissioner Margie Vandeven also took part. She said it was clear from the tone of the session that those involved have the best interests of St. Louis children at heart. "People were focusing on how do we work together in the way that will be most productive for the students in the St. Louis school district," she said. Rick Sullivan, who heads the SAB, said that earlier comments he had made about the work of his panel not being finished didn't accurately describe his feeling about a transition. He wants to make sure that when the change does come, it goes off without a hitch. And Vic Lenz of the state board added that if things go as they should, city residents shouldn't even notice that a change has taken place. The conversation about the transition is one that elected board president Susan Jones believes is overdue. “There should be a (transition) process but this process should have started a while ago,” said Jones, who will be participating in the joint transition talks along with fellow elected board members Kathy Styer and Katie Wessling. Jones was careful to emphasize that she’s entering the meeting with an open mind and isn’t going to insist on a set timeline or method for regaining authority. Her colleague Katie Wessling echoed that sentiment. Both Jones and Wessling said the transition plan put forward by the elected board would be their starting point for discussions. That plan would add a couple elected board members to the decision-making process every six months, with all seven members added over the course of a year and a half. The transition talks follow recent discussions by the state board over whether, when and how the SAB would go away and the elected board would take its place. The law that established the SAB provides little guidance over how the process can be reversed, or what kind of benchmarks should be used to determine when it should occur. The SAB was put in place because of certain problems with the city schools in terms of student achievement, finance and governance. Once those problems have been solved, the argument goes, the justification for the SAB to continue goes away. But proponents of the change, including several members of the state board, have noted that the SAB was put in place because of certain problems with the city schools in terms of student achievement, finance and governance. Once those problems have been solved, the argument goes, the justification for the SAB to continue goes away. The infighting that characterized the elected board in the time before the SAB took over is gone. A financial deficit has become a surplus, and the latest state evaluations of the district show individual schools scoring in the full accreditation range, though the district as a whole still is classified as provisionally accredited. The state board voted in February to extend the life of the SAB through the end of June 2019, but that vote doesn’t mean the board must remain. Lenz, of south St. Louis County, the vice president of the state board, will be part of the transition talks. He cited the steady gains as evidence that the return to an elected board is on the horizon. “Eventually,” he said, “if the city keeps doing as well as they’ve been doing, it’s going to reach the point where they’re fully accredited. At that point, we need to look at re-establishing the elected board in control. We need to begin moving in that direction, so when that time comes, we’ll be ready to do that transition. 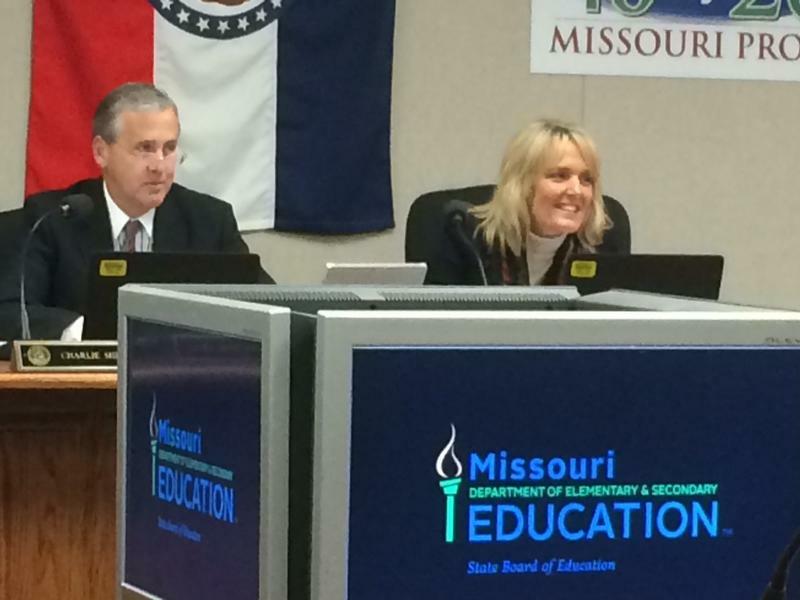 Lenz and his colleague Mike Jones of St. Louis represented the state board during the transition talks. Sullivan, who has headed the Special Administrative Board since it was established in 2007, represented the SAB. The two state board members who will take part in the discussions both said they are going into the meeting ready to listen, with no preconceived ideas of how any transition should proceed. 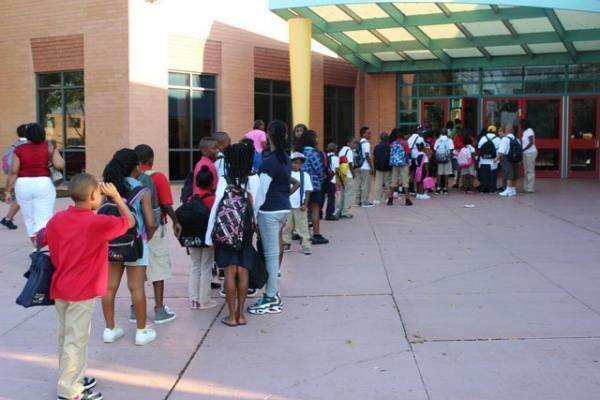 But as they have said before, they want to make sure that any process is gradual, so that the people who end up running the city schools are ready to do the job. Elected board president Susan Jones said she understood the need for the transition to take place over time, but she felt that she and her colleagues were ready to take authority. SAB president Rick Sullivan was not available for an interview on Tuesday’s meeting. But he has said that while he is ready to listen to a discussion about moving back to an elected board, he doesn’t think the job of his panel is over yet. 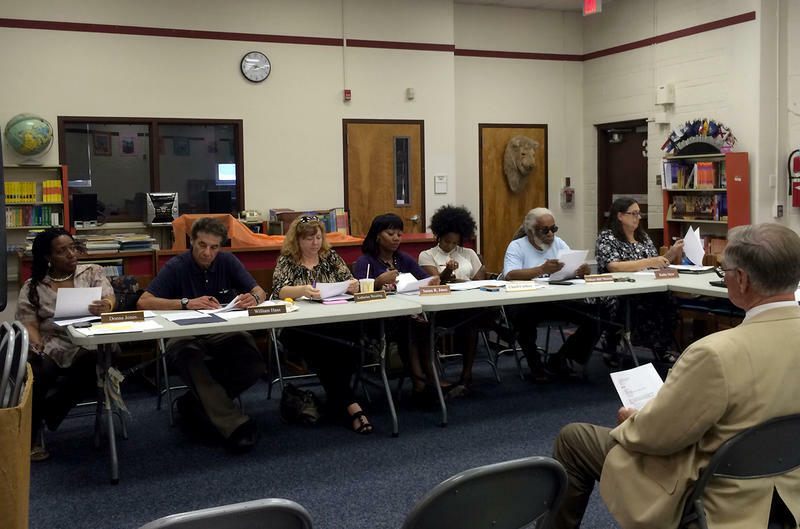 “Our goal as a special administrative board was twofold,” Sullivan said last month. Mike Jones said he agrees that every student should read at grade level, but he’s not sure that a failure to reach that goal should mean the SAB remains in place. “If that’s what it takes,” he said, “we ought to be taking over literally every school district in the state of Missouri, if that’s the criteria to return to self-governance. I think that’s an aspirational goal that we ought to get as concrete as possible, but that can’t be a realistic criterion for whether you return a school district that’s under state control back to regular governance. Follow Camille Phillips and Dale Singer on Twitter: @cmpcamille @dalesinger. Members of the Special Administrative Board (SAB) for St. Louis Public Schools — which has overseen the district since it lost state accreditation in 2007 — are meeting to develop a plan for returning authority over the district to the disempowered, elected board. The first meeting is being held this evening and will be a closed session to discuss legal and legislative issues related to transitioning authority. In 2007, the St. Louis Public Schools were placed under the control of a three-member appointed board. Its assignment was to fix problems in finance, governance and academic achievement. The district has made progress in all three areas. A deficit became a surplus, infighting among board members has turned into civility, if not always unanimity, and student test scores have made steady gains. On its most recent state report card, the district, which was once unaccredited, scored solidly in the range for full accreditation.